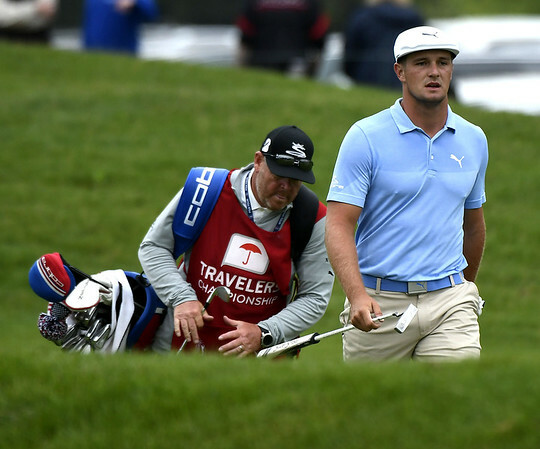 HARTFORD - Bryson DeChambeau is the latest high-profiled golfer to commit to the 2019 Travelers Championship. The tournament announced the move on Tuesday, which now gives Connecticut’s PGA Tour event its third top-five golfer in the World Golf Rankings. DeChambeau, who is currently the world’s No. 5 ranked golfer, will be joined by second-ranked Brooks Koepka and Justin Thomas, the world’s No. 4-ranked golfer. Both Koepka and Thomas committed to this year’s tournament at TPC River Highlands back in January. This will be DeChambeau’s fourth trip to Cromwell, where’s he’s made the cut at his previous three events. Last year at the Travelers Championship, he tied for ninth. DeChambeau, a five-time winner on the PGA Tour, has been on quite a run as of late. The 25-year-old has four victories over a nine-start stretch and five worldwide wins since the start of 2018, which includes his most recent win at the Dubai Desert Classic, his first on the European Tour. Last season, DeChambeau won the Memorial Tournament before winning the first two FedExCup playoff tournaments. He also captured the Shriners Hospitals for Children Open in his first start of the 2018-19 season. The Travelers Championship will be held June 17-23 at TPC River Highlands in Cromwell. For more information on this year’s tournament, visit www.TravelersChampionship.com . Posted in Newington Town Crier, General Sports on Tuesday, 5 February 2019 15:50. Updated: Tuesday, 5 February 2019 15:52.